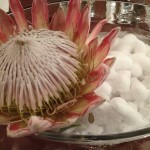 Oldenburg Vineyards paired with Institute of Culinary Arts at Stellenbosch Wine Festival Summer Soiree! On Friday I attended the Summer Soiree gourmet evening as a guest of Raymond Noppe, Oldenburg Vineyards Regional Sales Manager: Sub-Sahara, as part of the Stellenbosch Wine Festival program. The gourmet delights were prepared by three talented graduates (in March) of the Institute of Culinary Arts (ICA), which is based just down the road in the Banhoek valley. Guests attending paid R450 per head. 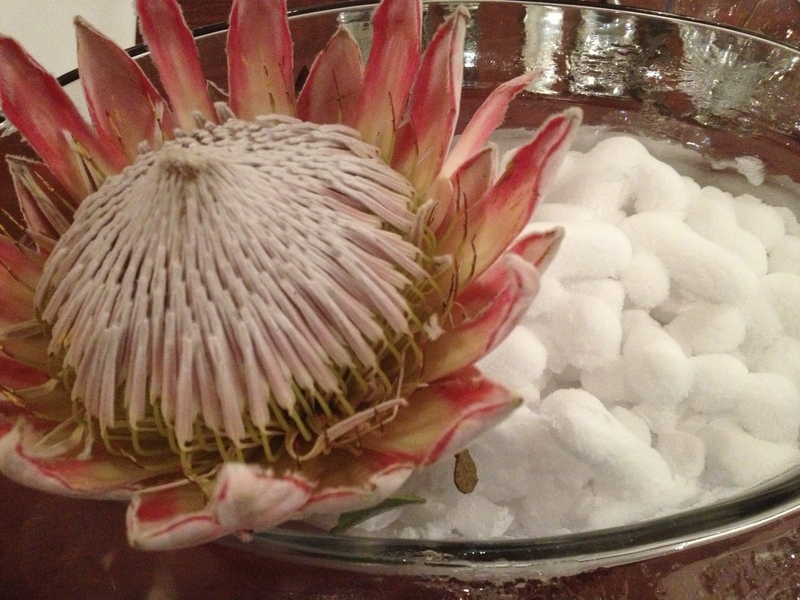 The tables were beautifully set, with glass bowls of proteas, which are grown in the valley, and dry ice , which came to effect when we sat down for the dinner, creating steam when the hostesses from the Alheit Academy poured water over it. 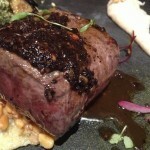 Oldenburg Wines does not have a restaurant, so the dinner was even more special as it was a one of a kind. On arrival we were offered a glass of Simonsig MCC, sparkling wines not forming part of the Oldenburg repertoire yet. The menu leaflets provided background to the two pairing partners. Oldenburg Vineyards is a premium boutique winery which produces small quantities of wines, its vineyards being managed to the full potential of their terroir. The ICA was established eighteen years ago by Letitia Prinsloo, and has trained many of our country’s top chefs, including Kobus van der Merwe of Oep ve Eet, and Simone Rossouw of Babel. It is deemed to be one of the best restaurant and chef training schools in the country. The course covers Advanced Cooking & Pâtisserie, business development, food theatre, research and marketing, product development, media communication, artistry, food science, and wine. Third year students have to prepare a business plan for a new or relaunched fine-dining restaurant. The focus of the chef training is the ‘global trend of molecular gastronomy’. Food science is an important subject to help the students understand the growing international gourmet trend to modernist cuisine. The dishes we were served were some of the dishes prepared for the final practicals by three ICA graduates, the students’ practical work being evaluated by the likes of Eat Out editor Abigail Donnelly, The Greenhouse Chef Peter Tempelhoff, The Tasting Room chef Margot Janse, as well as food journalists. The ICA works closely with the Alheit Academy, a relationship of four years seeing the ICA training front of house service staff about cooking, wines, front of house, and more, the students receiving a City & Guilds certificate after three years of study. I missed the first canapé of ‘Olive T(h)ree’, which was served as thin layers of olive oil biscuit topped with olive tapenade, and olive oil sugar bells on olive soil, which was paired with my favourite Oldenburg Cabernet Franc 2009. All three the canapés were prepared by Inne-Marie Rabie, who started working at Rooi Rose after graduating at the ICA at the end of last year, working with Food Editor Vickie de Beer in doing research for a new book, I was told by Laetitia. 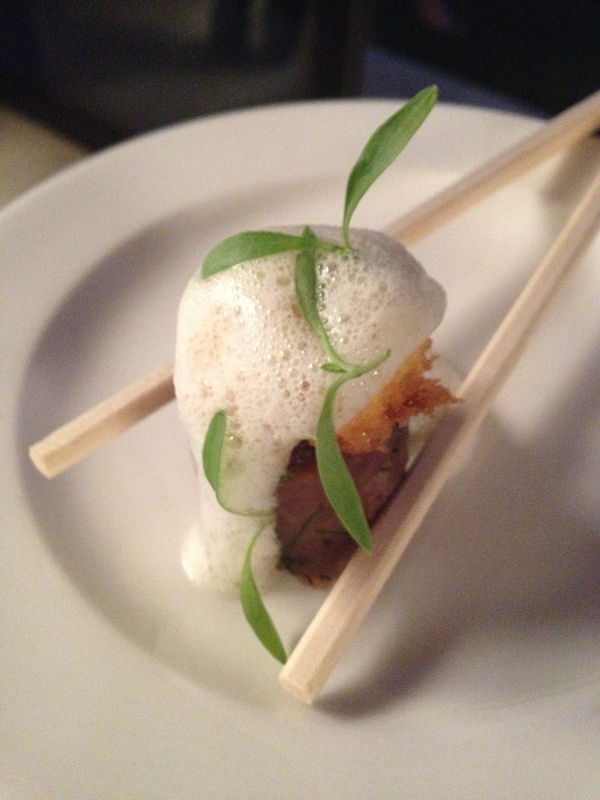 Inne-Marie’s dill and garlic Beef Tartare was served en croute, finished off with a deep fried quail egg, and a garlic and caper foam, which was paired with the Oldenburg Cabernet Sauvignon 2009. Raymond told us that Cabernet Sauvignon is the most planted variety on the estate, and is a ‘powerful wine’ matured for 12 months in 300 litre barrels, to reduce the oak influence. It is a big wine, with a higher alcohol content of 14,5%, which they are increasing to 15%. The wine has notes of cedar wood, pencil shavings, black currant, and cassis. 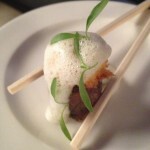 The third canapé was Vanilla poached pork belly, which was served with a pear purée, and finished off with a rosewater praline, paired with Oldenburg Chardonnay 2011. The Chardonnay grapes will be the first to be picked at Oldenburg, the harvest commencing this week, and the wine is matured for 11 months. The wine was described as having ‘wooden butteriness‘, creamy vanilla, white pear and peach notes, as well as citrus aromas. It was scored by Robert Parker at 93. 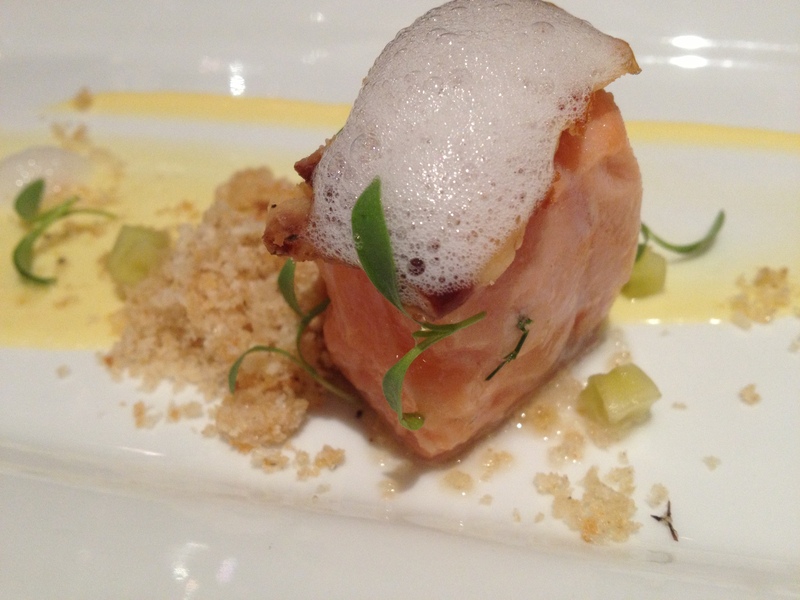 The amuse bouche was a jasmine poached Scented Salmon served with pickled cucumber, crackling crumble, and pancetta shard, finished off with a cucumber foam and granadilla sauce. 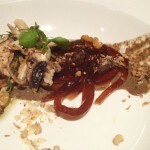 This dish was prepared by Monché Muller, who already has a column in Taste magazine, and now works at The Test Kitchen. Inne-Marie prepared the Exotic Mushrooms dish, tagliatelle served on a mushroom cream and sautéed wild mushrooms, with potato soil and garlic roasted walnuts. 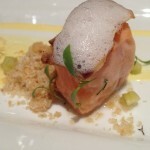 The dish was also paired with the Oldenburg Chardonnay 2011. 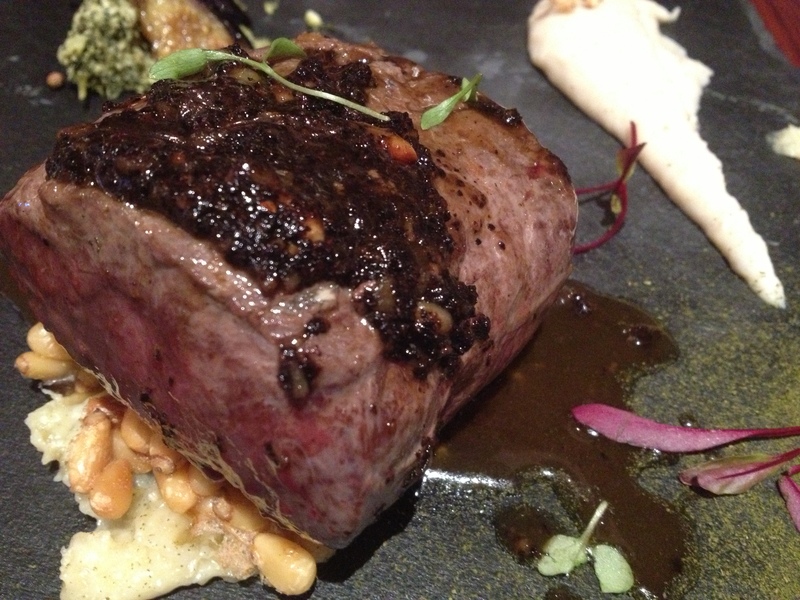 Monché returned to present her ‘Homebrew Kudu Loin’, which had been marinated in coffee mud, and was served with cauliflower risotto, roasted lemon chutney, kale pesto, and marinated baby brinjals, which she finished off with a pine nut crust and a stout sauce. 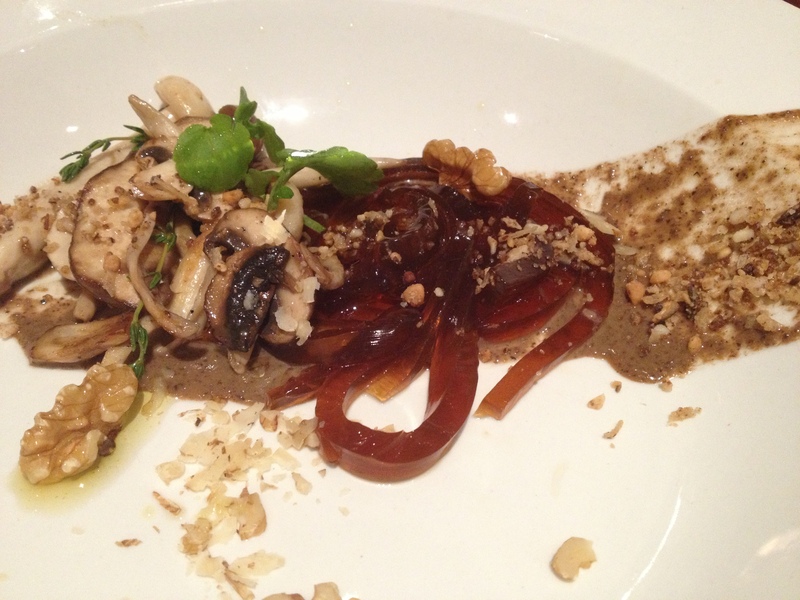 This dish was paired with the very smooth Oldenburg Syrah 2009, which was matured in oak for 15 months, and has coffee and mocha tones. Raymond described it as being ‘plush‘, having soft tannins, and offering good drinkability. We laughed when he said that it has won no awards yet it is their largest seller. 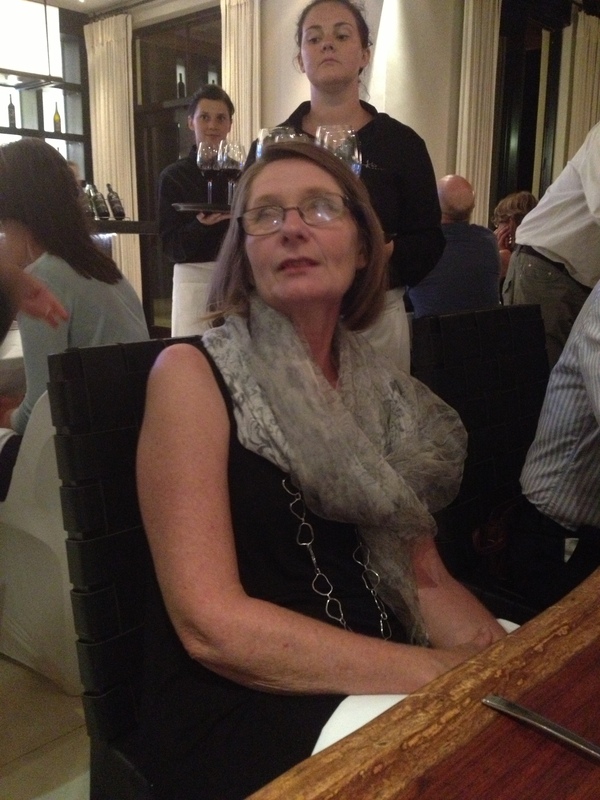 Dorothy, the maternal grandmother of Oldenburg Vineyards’ owner Adrian van der Spuy came to South Africa in the ‘Fifties, and met Helmut Hohmann, the owner of the Ivy Knowe farm, over the neighbouring fence, so to speak. He bought the neighbouring Rondekop farm on auction in 1955, consolidated it with his existing farm, and changed the name of the two farms to Oldenburg, after his hometown in Germany. They planted deciduous fruit originally in the ‘Sixties, and then added grapes, with were sold to SFW and to the KWV initially. The farm was placed in a trust by Van der Spuy’s grandmother when Hohmann died, which Van der Spuy bought out of the trust in 2003. Simon Thompson is the viticulturist at Oldenburg, and also its winemaker. The first wines were made in 2007. The Oldenburg wines are made at Glenelly presently, but an Oldenburg cellar is on the cards in the next five years. 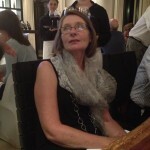 (Van der Spuy’s paternal grandmother is the late Una van der Spuy, who was a well-known landscaper, and lived at Old Nectar in Stellenbosch). The highlight dish of the evening was Nico Meyer’s Southern Reef, a marine-inspired dessert, with a coral made from ginger and chocolate, which was served in an oyster shaped chocolate shell in which a chai tea sphere was placed, for one to sip off the shell as one would an oyster, releasing a burst of flavour once in one’s mouth. 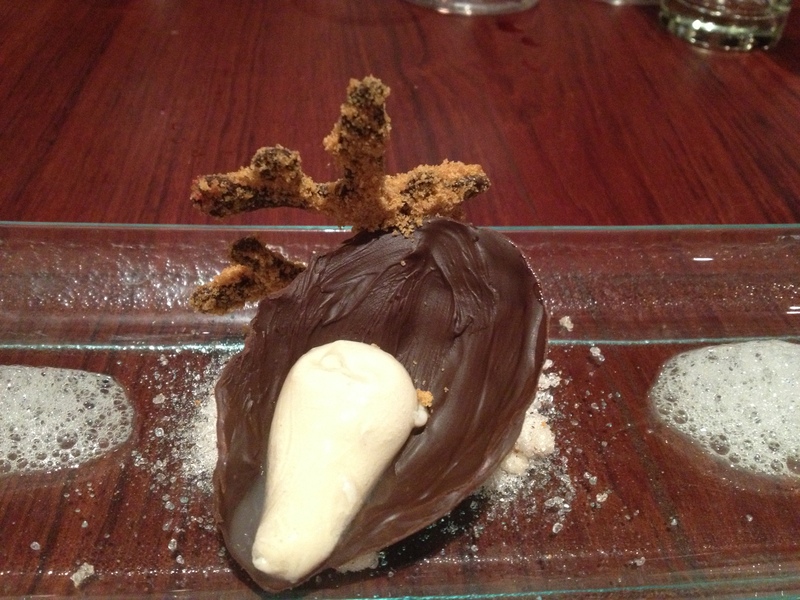 The dessert creation was placed on flavoured soil, with foam, to complete the marine theme. 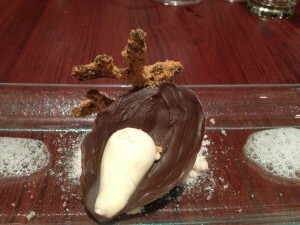 Each guest had the choice of pairing the dessert with Oldenburg’s Chenin Blanc 2011 or Merlot 2010. The Merlot 2010 maiden vintage has just been launched by Oldenburg. 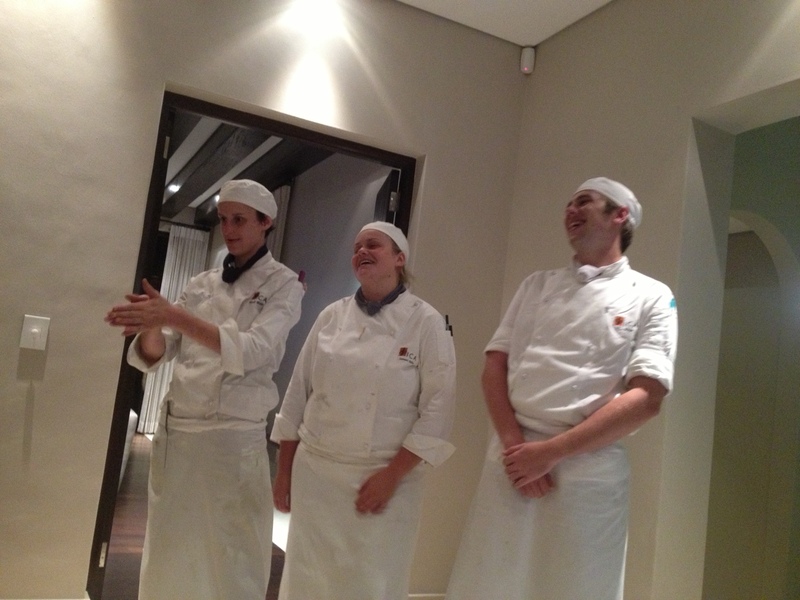 Nico now works at Apprentice, the ICA restaurant in Stellenbosch, and is their head chef. The dessert was followed by friandise of chocolate fondant, baklava, and melon coated in mint jelly, served with coffee. All three the ICA graduates were very creative, and had taken a lot of trouble to create the perfect dishes to bring out the best in the Oldenburg wines. 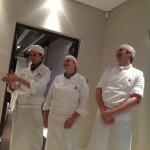 One certainly will get to hear more about these fledgeling chefs as they develop in their careers. Oldenburg Vineyards and the ICA demonstrated true neighbourliness in their food and wine pairing Summer Soiree gourmet evening. Oldenburg Vineyards, Helshoogte Pass, Stellenbosch. 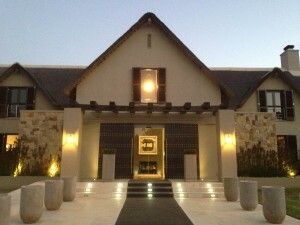 Tel (021) 885-1618. www.oldenburgvineyards.com Twitter: @OldenburgWines Monday – Friday.